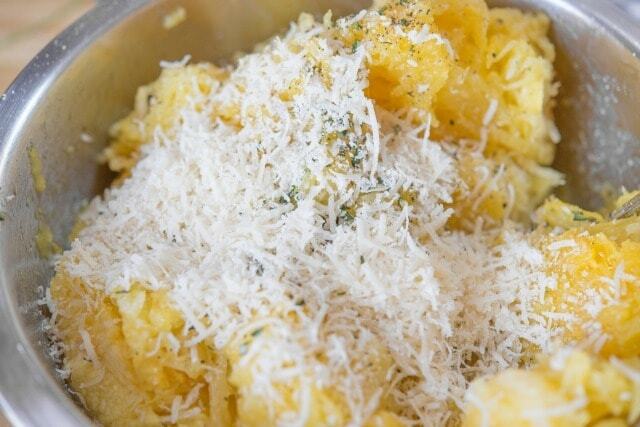 Roasted spaghetti squash is tossed with a rosemary infused olive oil and freshly grated parmesan for an easy and delicious fall side dish! 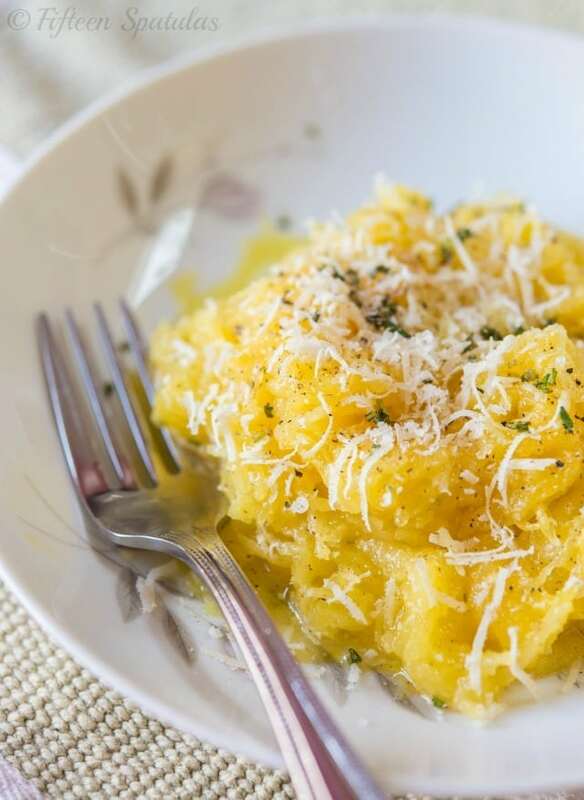 I have eaten a ton of different squash varieties, from butternut to carnival to sweet dumpling to acorn, but I admit I only tried spaghetti squash recently. 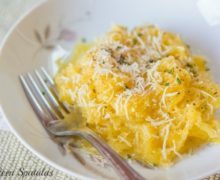 The name “spaghetti squash” just didn’t sound appealing to me so I always grabbed one of the varieties I was familiar with. All I can say is I feel like a fool for not trying it earlier. 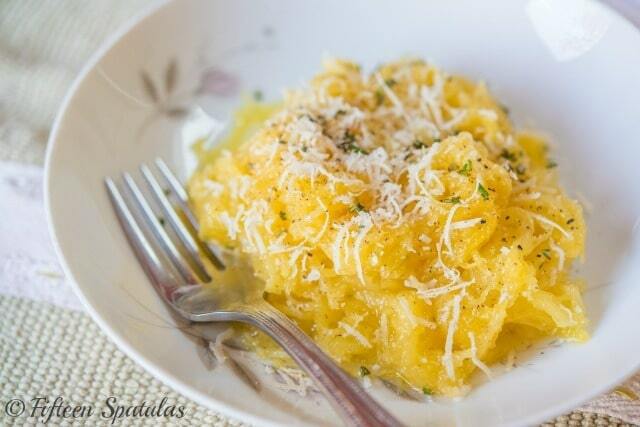 The texture and flavor are delightful, and I’m officially obsessed with spaghetti squash. 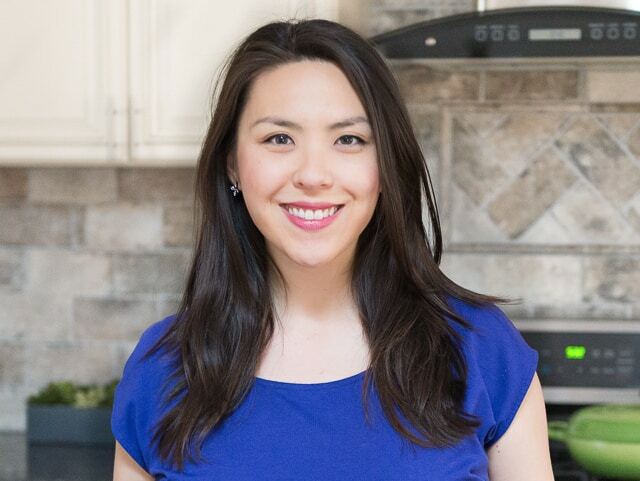 It’s unbelievably easy to prepare and makes a good side for so many dishes. And you’re ready to eat! Enjoy. 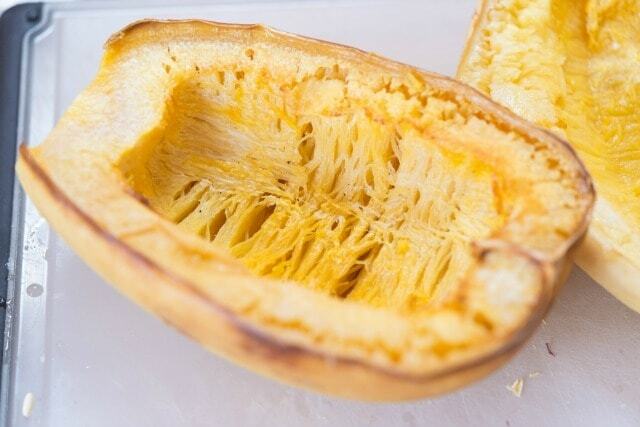 Cut each spaghetti squash in half and scrape out the seeds and any stringy stuff around the seeds with a melon baller (and discard). 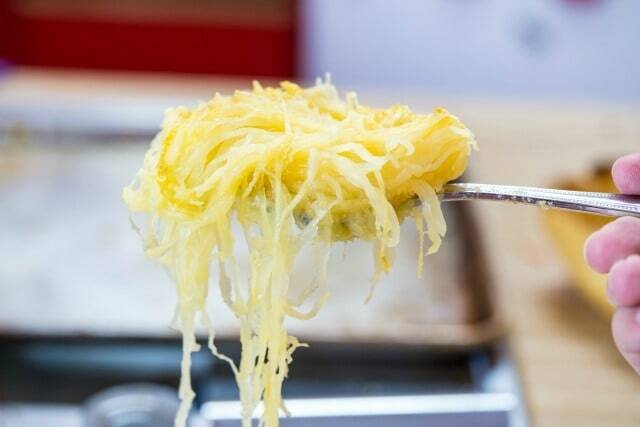 Place the spaghetti squash on a sheet pan and roast for one hour. 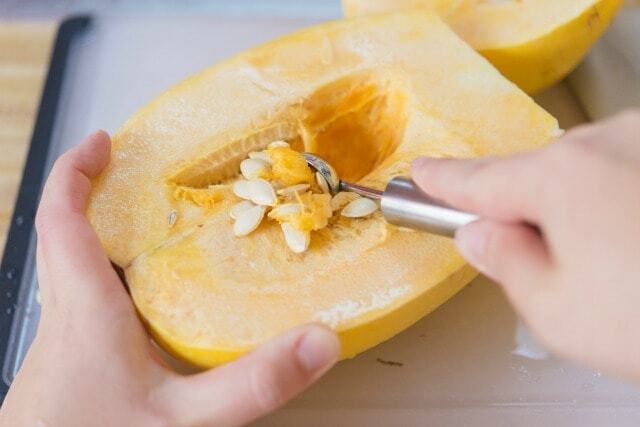 Take a spoon or fork and scrape out the squash from the skin. 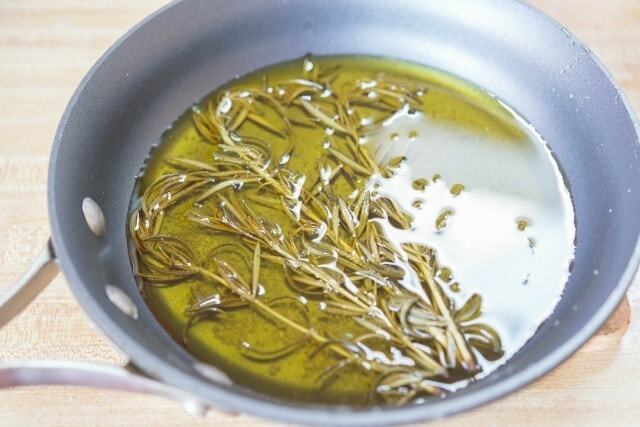 Add the olive oil and rosemary sprigs to a small pan and heat over medium low for 15 minutes to allow the rosemary to infuse the oil with its flavor. 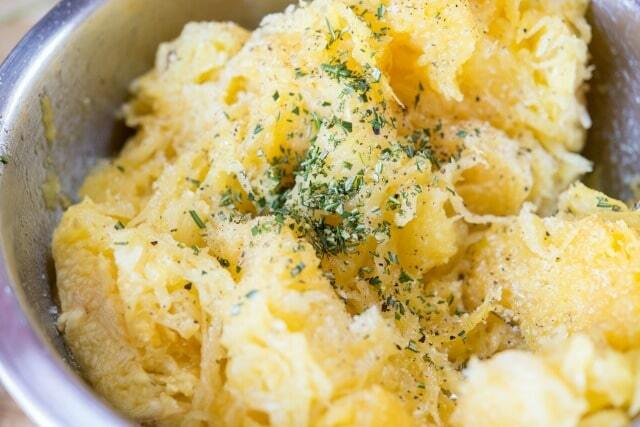 Add the olive oil to the spaghetti squash, and also add the minced fresh rosemary and cheese. Season with black pepper and salt to taste. Feel free to add more cheese or rosemary if you prefer more. Serve and enjoy! The squash are in the oven right now….I can’t wait to try it! Thanks for posting this one! this is making me so very hungry. Looks incredible!